The single-source solution: DataTrace offers the most comprehensive and precise collection of real estate information in the New York market. We obtain and provide a copy of the assessor's card from the Assessor's Office. The information on the card should include the date of construction, assessed valuation, owner of record, and/ or other pertinent information. NYC only: A search to determine if violations exist with the Department of Air Resources. The report includes the current status of fuel burning and compacting equipment. NYC only: We search for and document Building Department records to determine the exact timeline of alterations and improvements for a given building. We create and provide an abstract of building department records reporting all Certificates of Occupancy, Certificates of Compliance/Completion, and all open building permits. We include copies of all certificates found. If no Certificate of Occupancy is on file, the abstract will include information from other municipal agencies and the Assessor's Office regarding the structure(s), the use and the approximate year the structure was erected. In NYC, we provide a copy of the last CO of record, plus any subsequent plans filed that either change or propose to change the legal use. We obtain a copy of the building plans as maintained by the Building Department and, if requested, provide a review to identify any specific structures. We search for and document any repairs or services provided to said property of an emergency nature where property owner was negligent in responding shown in the municipal records of the appropriate municipality. We search for and report on any violations of record with the Fire Department's local and/or central files. We obtain and provide a copy of the latest available guaranteed and/or certified survey from the Building Department. If no guaranteed or certified survey is on file, we provide the most recent survey available instead. We provide you with a Flood Zone Report or a Flood Zone Hazard Certification, using the Federal Flood Insurance Rate Maps to determine the classification of the particular site in question. NYC only: We search for and document any recorded violations regarding wiring, gas leakage, etc. Green Homes Benefit Assessment Search. AKA Building Violation Search. We search for and document all pending violations of the local building code and in NYC, the New York State Multiple Dwelling Law, found at the Housing Department and Building Department. We search for and report on all violations found at the Health Department. We provide a report showing if the property is a designated landmark or within a historic district. In New York City, this will include any violation information found. We obtain and provide a letter indicating that a specified tax lien has been satisfied. NYC only: We provide a report indicating the legality of the property. If no other available search seems to include for the departmental information you are looking for, please use this to request what you need. AKA Fuel Oil Permit Search. NYC only: A search of Fire Department records for any existing Fuel Oil Permit, including the permit number, capacity of the current oil tank and current status of the annual fee. NYC only: We search for and document violations regarding pest control recorded with the NYC Health Department. We conduct an exterior walkaround, take photos of pertinent features, and provide copies of those photos. We obtain and provide a report which indicates the amount due to satisfy a tax lien. We conduct an on-site inspection to determine any apparent physical changes to the existing structure(s), possible encroachments and the addition of new structure(s) as compared to the survey supplied. We also conduct an exterior walkaround, take photos of pertinent features, and provide copies of those photos. A handwritten/printout report indicating current tax information without water charges.The amounts due, including arrears is provided. 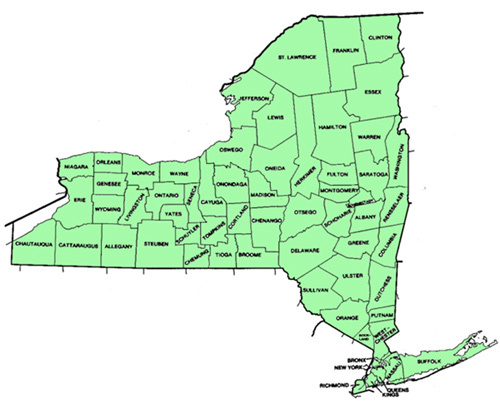 NYC only: We obtain and provide a copy of the requested Sanborn or Belcher Hyde Map. We provide a continuation of an already completed Sewer Search. NYC only: We search for and document the current street width, and report on any applications for street widening on file at the Highway Department. We search for and document the party responsible for street maintenance. We conduct an on-site inspection to determine any apparent physical changes to the existing structure(s), possible encroachments and the addition of new structure(s) as compared to the survey supplied. Nassau County: A search to determine if a property conforms to the Department of Public Works Ordinance #266 of the Public Health Ordinance of Nassau County, which mandates all properties within the Nassau County Sewer District be connected to said sewer within one year of official notice. Suffolk County: This search indicates whether or not the property is located within a Municipal Sewer District. If the property does in fact lie within the district, the search will indicate the amount due. We obtain a letter based provided by the Assessor's Office which may include the date of construction, assessed valuation, record owner and/or other pertinent information. We obtain and provide a copy of the current tax bill. We provide a continuation of an already completed Tax Search. We provide a report indicating the most current tax figures for a specific tax year for a parcel. NYC only: We provide a NYC Department of Finance printout with current information by tax borough block and lot. The tax history contains such information as real estate tax, frontage meter charges and other tax assessments. It will further indicate whether assessments are open or paid. If paid, payment information including pay date is provided. It will also show (if applicable) over-payments, credits, cancellation of assessments, abatement info, lien info, etc. We search for and report on county and local tax records to ascertain the existence of arrears, tax liens and to determine the current status of payments. If no other available tax search seems to include for the tax information you are looking for, please use this to request what you need. NYC only: DataTrace can make payments of current and past due taxes (including S.C.R.I.E. taxes, restored taxes, etc.) Tax lien sale payments are also available. NYC only: We search for and document any underground fuel storage containment on the property. Normally this is associated with commercial property such as a gas station. NYC only: We provide a copy of the current water tax bill. NYC only: DataTrace can make payments in NYC to the Department of Environmental Protection for current or outstanding water charges. We provide a report showing zoning classifications of a tax lot and a brief description of said classification. We obtain and abstract the complete record of a specified foreclosure action. We search for and document the last owner and deed-chain covering 2 years or when they encounter the last good-deed of record, whichever comes first. We report on all open mortgages and liens against the property and against any name searched. We can provide copies upon request. BRS will provide a complete title back-chain. This search will confirm title into the last know grantor/grantee (or the first known Acris grantor in the four Acris counties). It will include all deeds, open mortgages, abstracted surrogate proceedings, easements covenants, and restrictions, found within the back-chain timeframe. We search for and document any open construction/building loans, noting names, amounts and dates. This is to request a re-recording of a document following an erroneous original recording. We obtain and provide a certified copy of the requested document, certified by the issuing municipality. We search for and report on any Civil Court violations. We obtain and provide a copy of the requested document, found in the identified book/reel/volume. We search for and document the last owner and deed of record into the Cooperative. We report on all open mortgages and liens against the property and against any name searched. If the Cooperative includes for a leasehold, we will report the lease information. We also search for all county-level UCC violations, as well as any covenants & restrictions on the property from the time the cooperative was formed. We can provide copies of findings upon request. We search for and document the last owner and deed of record into the Cooperative. We report on all open mortgages and liens against the property and against any name searched. If the Cooperative includes for a leasehold, we will report the lease information. We also search for all county-level UCC violations. We provide copies of the last deed of record along with any UCC violations found. We can provide copies of other findings upon request. This search includes one free continuation if ordered within 6 months. We search for and document the last owner and deed of record into the Cooperative. We report on all open mortgages and liens against the property and all liens and bankruptcies against any name searched. If the Cooperative includes for a leasehold, we will report the lease information. The search includes a check for state- and county-level UCC violations. We also search for and report on county and local tax records to ascertain the existence of arrears, tax liens and to determine the current status of payments. We provide copies of the last deed of record along with any UCC violations found along with the typed report. We can provide copies of other findings upon request. We search for and document the last owner and deed of record into the Cooperative. We report on all open mortgages and liens against the property and all liens and bankruptcies against any name searched. If the Cooperative includes for a leasehold, we will report the lease information. The search includes a check for state- and county-level UCC violations. We provide copies of the last deed of record along with any UCC violations found along with the typed report. We can provide copies of other findings upon request. We search for and document any property covenants/restrictions on file. We provide a continuation of a title search where the original search was not done by DataTrace. We search for and document the last owner and deed-chain covering the Condominium Unit under examination. We report on all open mortgages and liens against the unit and against any name searched. We also search for covenants, restrictions and easements against the unit within the time frame of the search. We can provide copies upon request. We search for and document the history of recorded deed instruments for the specified property. This search covers the last 40 years or until a deed showing good consideration is found, whichever goes farther back in time. We obtain, and provide a copy of the requested document. We search for and document the history of recorded deed instruments for the specified property back to the year 1982 and provide it along with a copy of the last deed of record. We also document whether and where any Environmental Covenants and Restrictions are discovered during the search. We search for and document the history of recorded deed instruments for the specified property back to the year 1940 and provide it along with a copy of the last deed of record. We also document whether and where any Environmental Covenants and Restrictions are discovered during the search. We search for and document any violations on file within the Federal Courts system. We search for and document the last owner and deed-chain starting with the deed into the item being foreclosed. We report on all open mortgages and liens against the property and against any name searched. We provide a full copy of the mortgage or other document being foreclosed. Copies of other documents are available upon request. We search all deeds back to the most recent bona fide sale for current vested owners showing 100% ownership and additional deed(s) as needed to cover a 60-year period. We report on (Bronx, Kings, Nassau, New York Queens, Richmond, and Suffolk) - all open mortgages and all related mortgages documents attached to subject property are provided and (All other counties) - open mortgages and all related mortgages documents for vested owner(s) throughout attached chain of title and for any additional owners, sellers or borrowers listed on Customer’s order form affecting subject property and liens against the property and against any name searched. We provide a full copy of the mortgage or other document being foreclosed. Copies of other documents are available upon request. We Examine of the Title and determine lien priorities and Party Defendants and prepare a typed Foreclosure Certificate Report (including typed legal description). We examine the results of a title search covering 40 or more years, and provide a report detailing all potential exceptions for title insurance, covering but not limited to: open mortgages, liens vs. the premises, judgments and/or liens vs. the current owners and purchasers, returns against prior owners within the last 10 years, covenants and restrictions vs. the property, and any other clearance issues. The report includes information about the last title insurer if available. We search for and document the last owner and deed-chain covering the last 40 years. We report on all open mortgages and liens against the property and against any name searched. We also search for all covenants, restrictions and easements against the property. We can provide copies upon request. AKA REO Search. We search for and document all open mortgages and real estate owned by the specified name. We search for and document any hazardous waste violations. We search for and document the last deed of record, and provide a copy of the deed if fouond. We search for and document any open actions in the county courts indexes for the name searched. We also include any judgments, Federal Tax Liens, state and county-level UCC’s, and bankruptcy information. In NYC we also search for PVB and ECB records; in Richmond County we search DMV records. We search for and document the last owner of record, and any open mortgages and liens. We search for and report on the last deed of record, verifying that the last deed is the current owner of the specified premises. We also check for any Lis Pendens, In-Rem proceedings, and Surrogate Court records affecting the premises or any grantees. We search for and report on any recorded notifications of pending litigation regarding the identified property or any name searched. This includes providing a copy of the current minutes of the action. If no other available search seems to include for the real property information you are looking for, please use this to request what you need. We search for and report on any Mechanic's Liens found filed against the property being searched. This search item is used to request a follow-up on a recently completed real property search. We search for and document all open mortgages against the property or against any name searched. We can provide copies upon request. We obtain and provide a certified copy of the requested document, certified by a DataTrace attorney. We search for and document the last owner and deed-chain covering the last 2 years. We report on all open mortgages and liens against the property and against any name searched. We also search for all covenants and restrictions against the property. We can provide copies upon request. We search for and document the last owner and deed-chain covering the last 2 years. We report on all open mortgages and liens against the property and against any name searched. We can provide copies upon request. We search for and document the last owner and deed-chain based on the identified closing title report we are reissuing from, or starting from a specified date. Open mortgages and liens against the property and against any name searched that are found within the search are reported. We can provide copies upon request. We search for and document the last owner and deed-chain covering a minimum of the last 40 years. We report on all open mortgages and liens against the property and against any name searched. We also search for all covenants, restrictions and easements against the property. We also include an abstract of the pending or completed foreclosure proceeding is applicable . We can provide copies upon request. We search for and verify the proper recording of an identified instrument. We examine the results of a title search and provide a report detailing all potential exceptions for title insurance for a refinance transaction, covering but not limited to: open mortgages, liens vs. the premises, judgments and/or liens vs. the current owners and purchasers, returns against prior owners within the last 10 years, and any other clearance issues. The report includes information about the last title insurer if available. We search for and determine if the current lot was originally a part of a larger lot (apportioned into separate lots), or the lot was formed by combining other lots (merged into a single lot.) We provide information for all adjoining lots in addition to the target lot. We provide deed chains for all lots searched. We search for and document any information from the appropriate surrogates file. We search for and document the last owner and deed-chain starting at the identified recorded first mortgage. We report on all open mortgages and liens against the property and against any name searched. We can provide copies upon request. We search for and document any open or satisfied bank mortgages. If no bank mortgages are found, a more thorough search is initiated. This is used to request a real property exam upgrade from short length to full length. We examine the provided survey and provide a report detailing the strutures and items noted on the premises. Please request affirmative insurance language as needed. If the reading requires a new survey inspection, please order that separately. We search for and document the last owner and deed-chain covering the last 10 years. We report on all open mortgages and liens against the property and against any name searched. We can provide copies upon request. We search for and document the last owner and deed-chain covering the last 10 years. We report on all open mortgages and liens against the property and against any name searched. We also search for all covenants and restrictions against the property. We can provide copies upon request. An update to a title report where the original request is between 3 and 11 months old. Queens only: We search for and document any outstanding judgments against the name searched as noted by the New York City Department of Motor Vehicles. AKA Certificate of Existence. This certificate will show that your company/corporation is in "good standing", meaning all required reports have been filed and registration fees have been paid as of the date the certificate has been issued. Also, to officially prove that your company has not been suspended or cancelled. A continuation on an Emergency Repairs search. This is highly recommended prior to closings, especially in tenant occupied buildings during the winter. We provide a continuation of an already completed title search. For more information on a specific search, simply click on it. For more specific market information, click here.